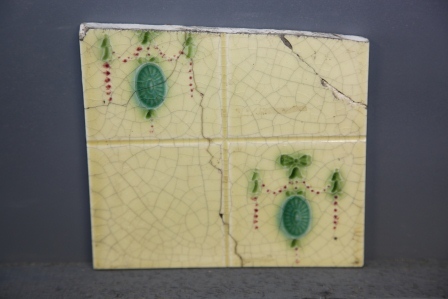 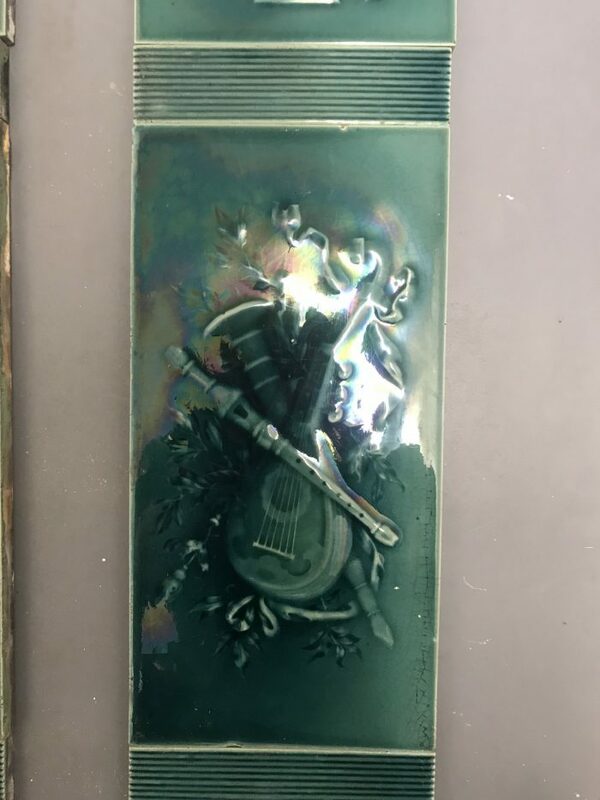 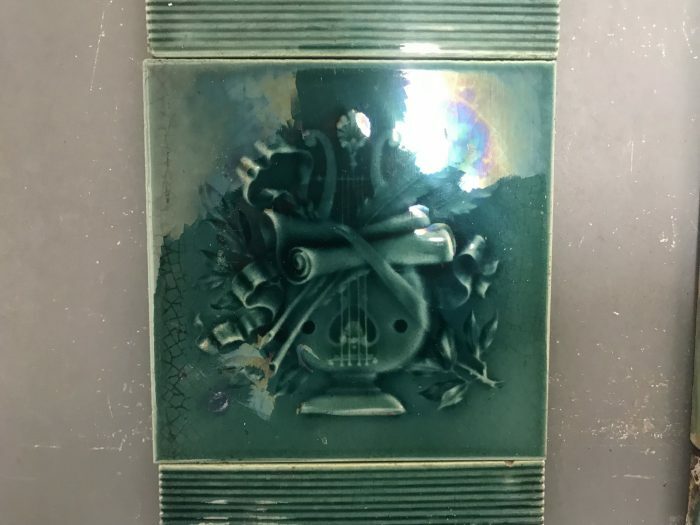 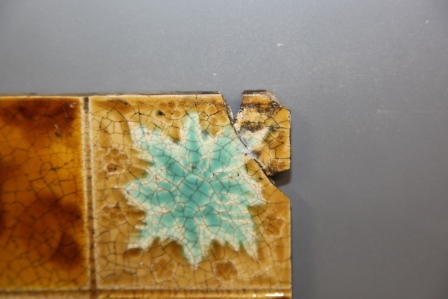 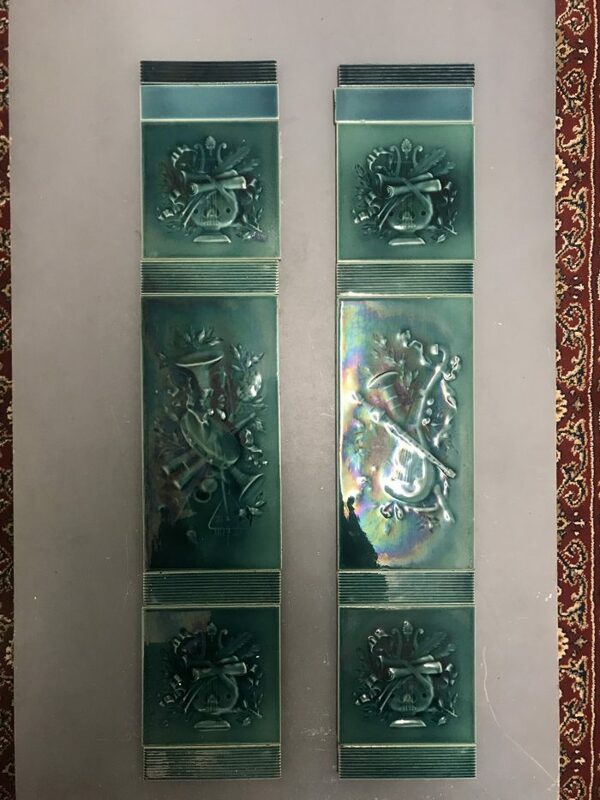 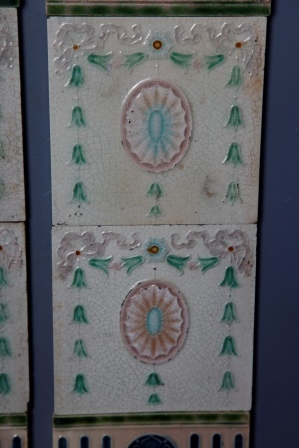 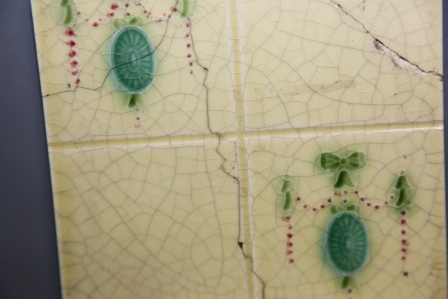 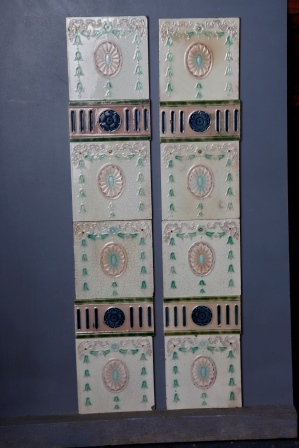 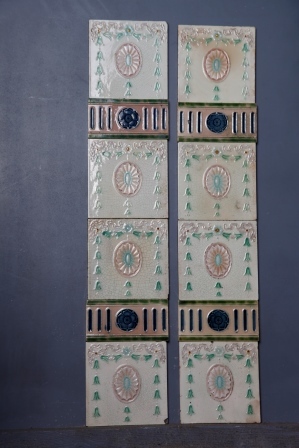 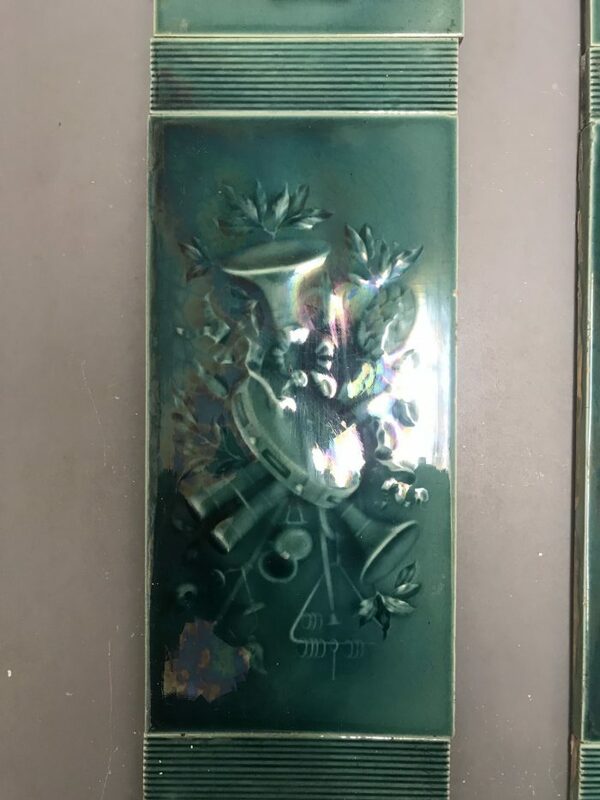 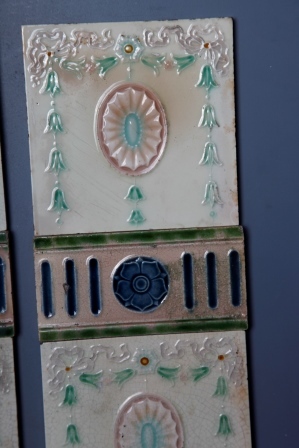 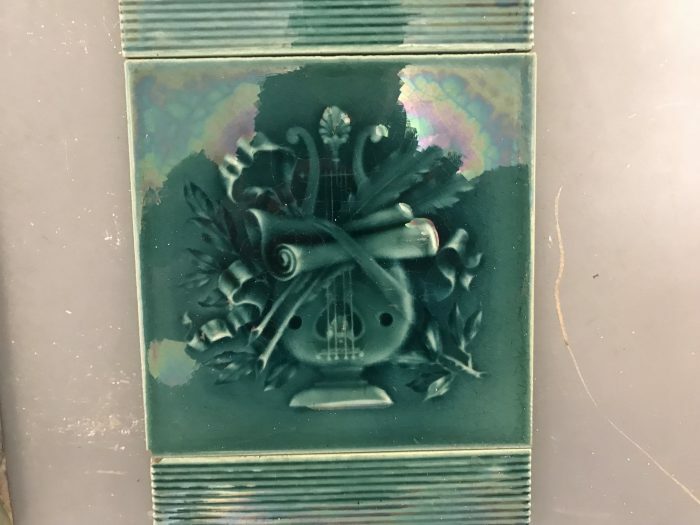 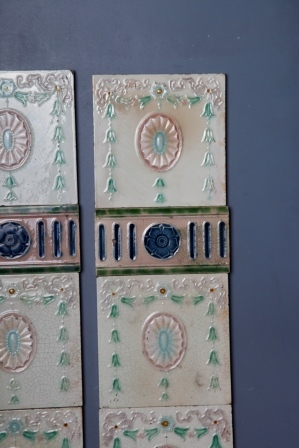 Relief moulded tile with musical instruments made by Godwin & Hewitt with RD 271420 for 1896. 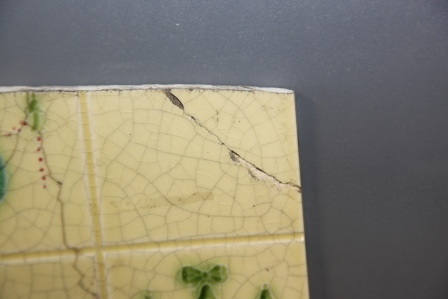 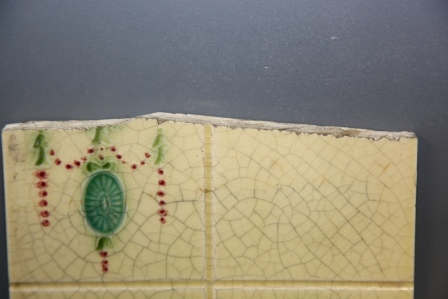 2 chipped tiles touched in. 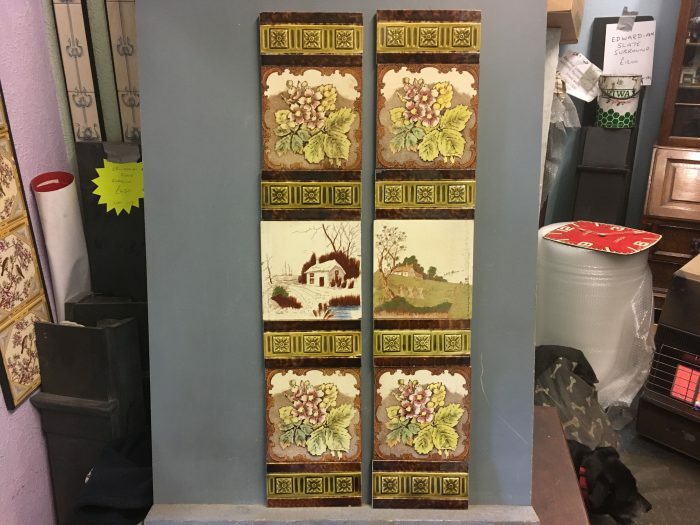 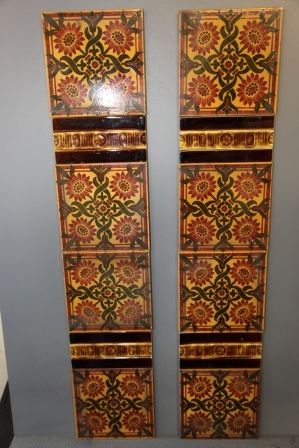 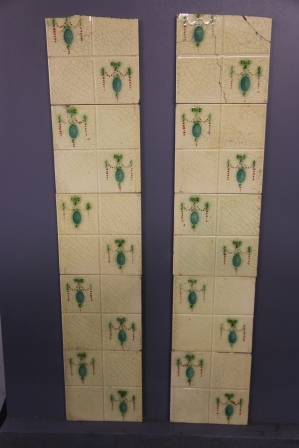 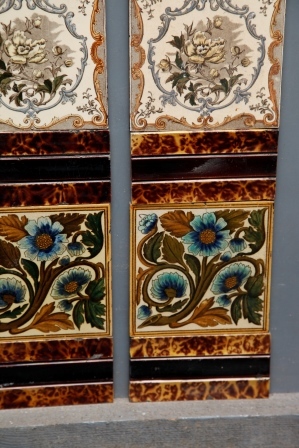 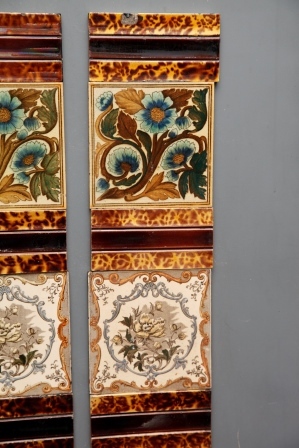 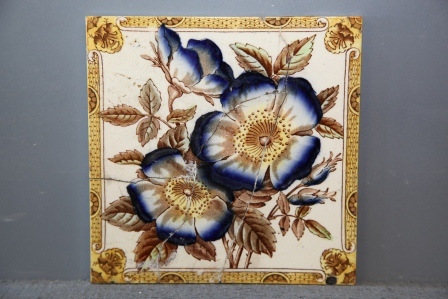 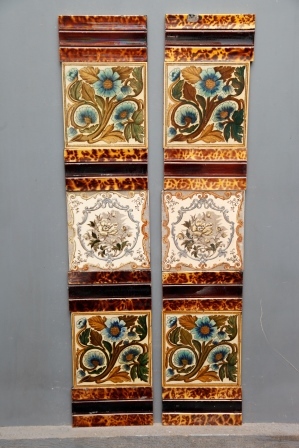 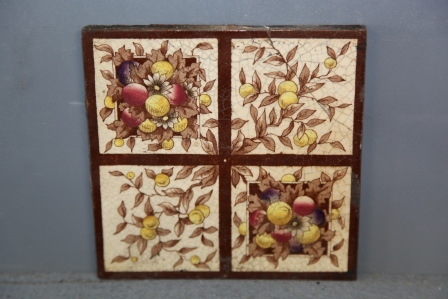 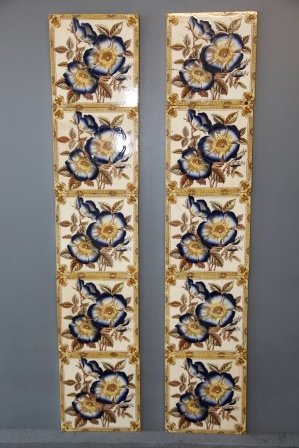 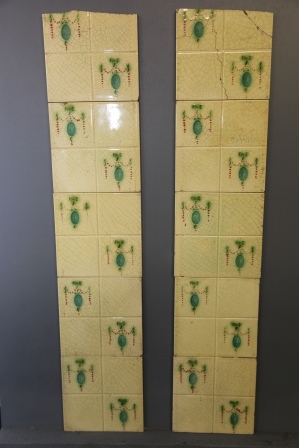 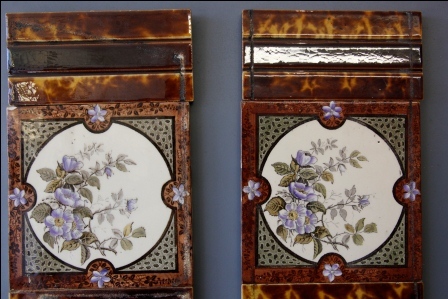 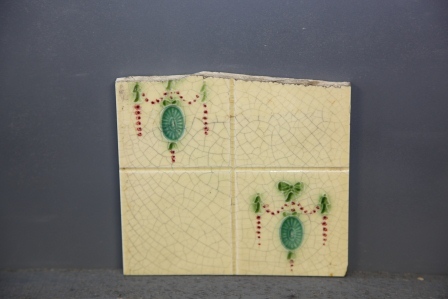 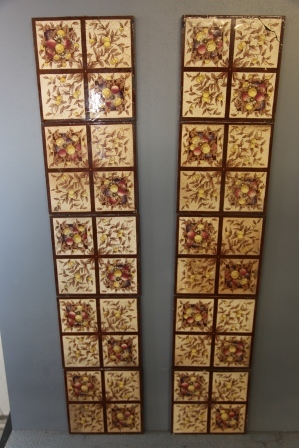 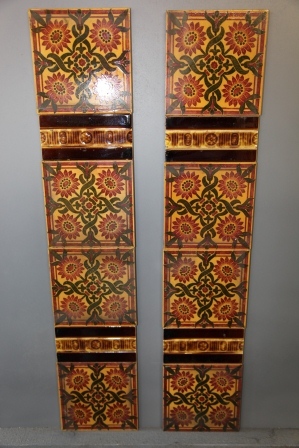 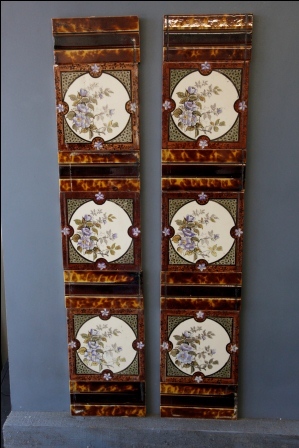 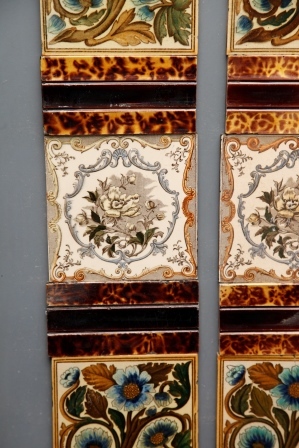 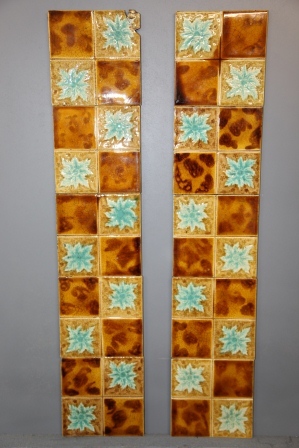 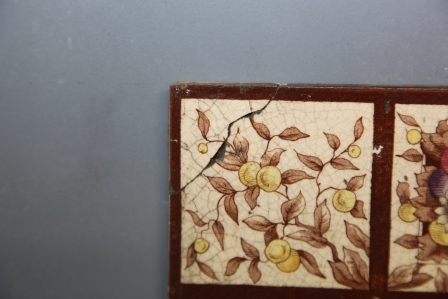 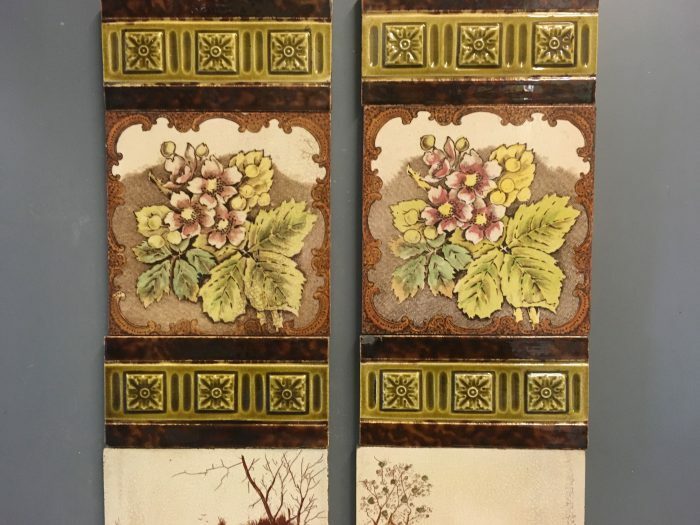 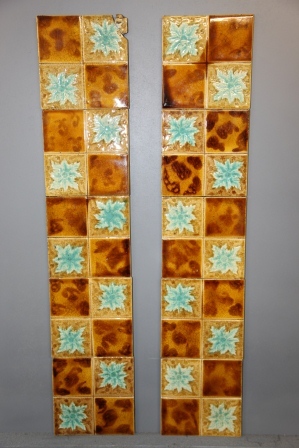 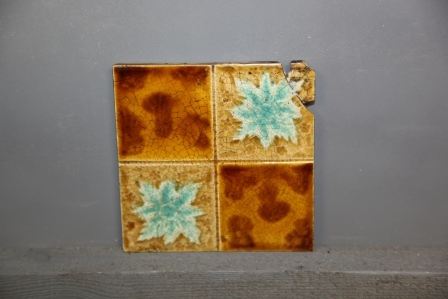 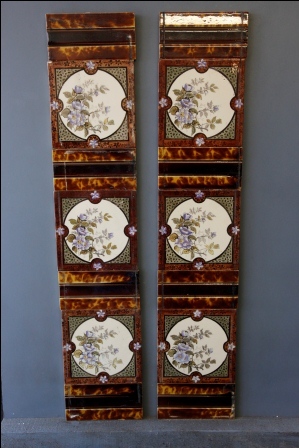 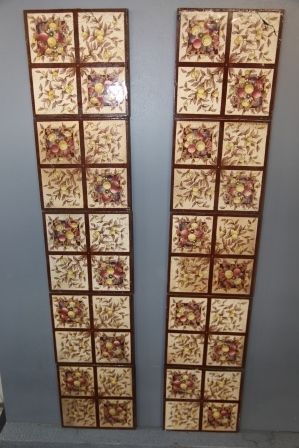 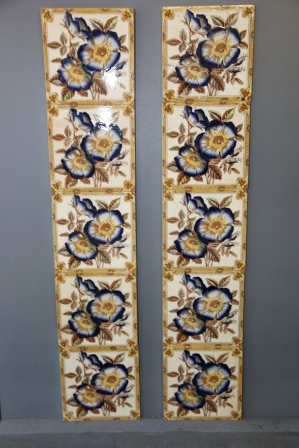 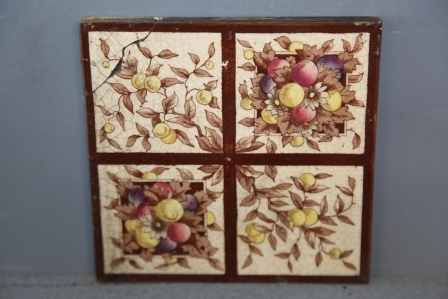 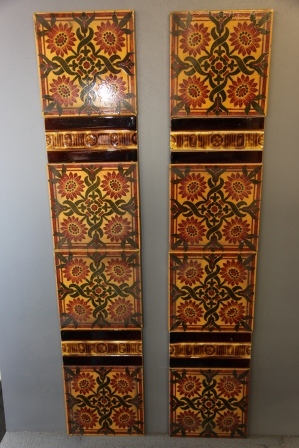 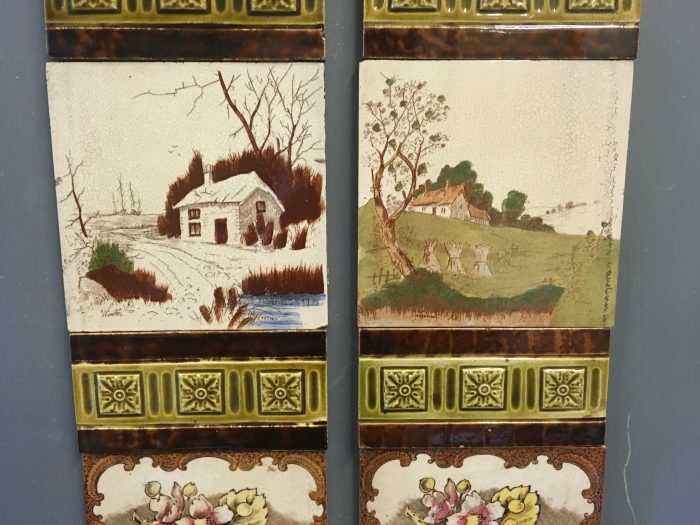 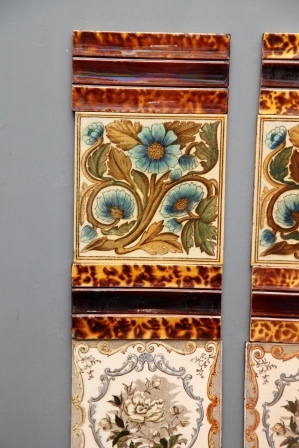 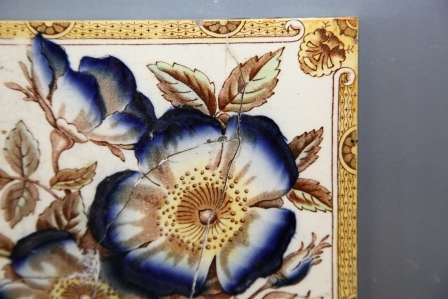 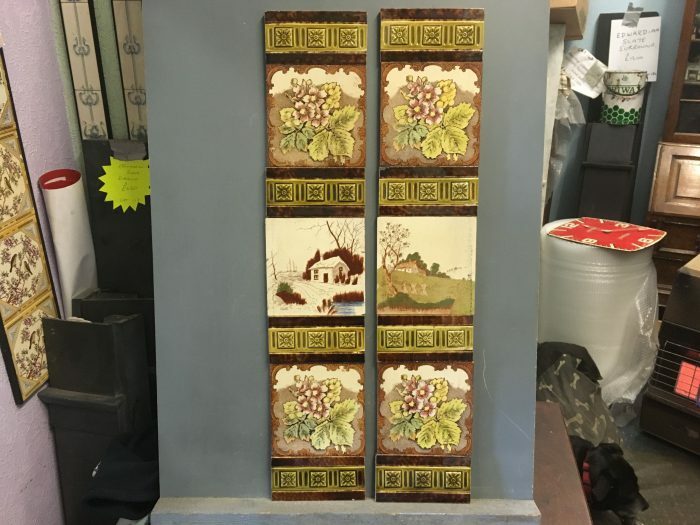 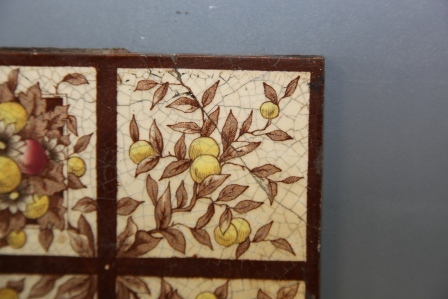 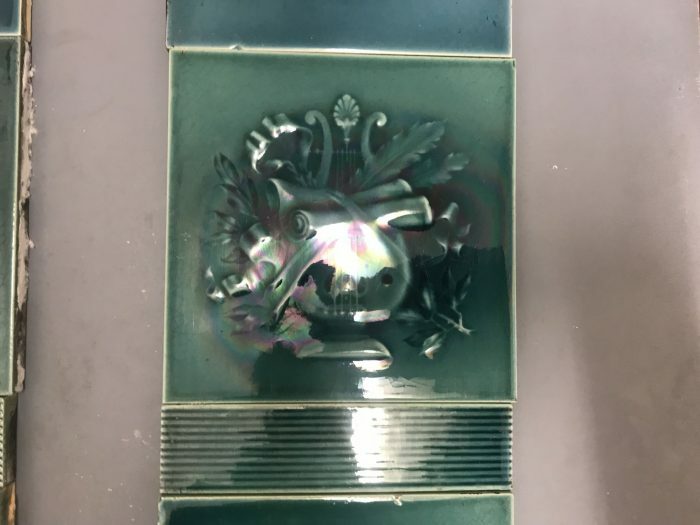 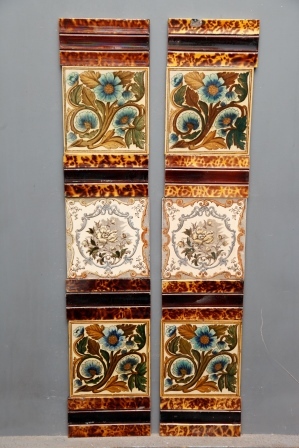 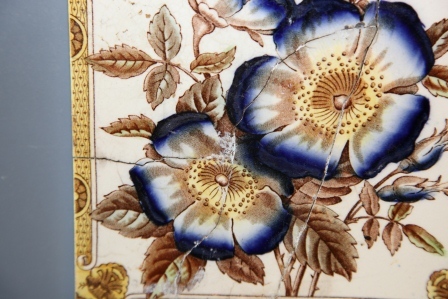 Sherwin and Cotton 1890 - 1911, Summer Winter picture tiles.